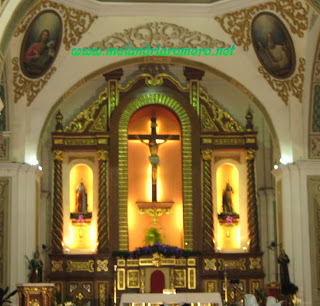 Naga City Metropolitan Cathedral with its beautiful curves and architecture. I will never forget the day I march my way in here with everyone looking at me and my beautiful gown. Amazing how uplifting curves can be. I love this shot for the shapes alone. I love that architecture too - superb! Many nice curves here. Great photo. This fits the theme so perfectly. I've been to this church and it's really beautiful!!! You're lucky that you were able to march down its aisle.